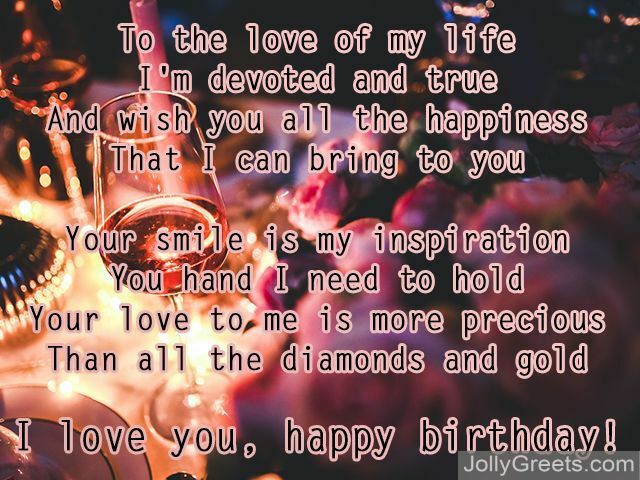 Birtday poems for fiance: When the time comes to wish the one you love most a happy birthday, it is sometimes difficult to decide what gift would be best. It is a difficult task to encapsulate all the love you feel, and let this person know how much happiness they bring into your life. I know that it might be easy to send flowers or candy, however these gifts have been done before, are boring, and do not remain. Flowers wither and die, and candies are eaten and forgotten. Words however, will always remain. So don’t opt for the “easy out” gift. Write your future wife something that she will cherish for the rest of her life. Think of all your favorite memories, think of all the things that will make her smile and put them to paper. She will love and appreciate the time and effort you put into a thoughtful, loving, and oh so special gift. Read from these poems and choose something that tugs at your heartstrings. Choose something that shows you fiance how much you care, and how deep your love for her runs. You are going to spend the rest of your life with this woman, so take time to show her that you still care as much as the first day you met her. There are a lifetime of birthdays left to celebrate, but every single birthday, every occasion, is special for someone that you are going to share your entire life with. Give her a gift that will last as long as your love. But I just want you to know how crazy I am about you. It’s your special day, it’s crazy. Today on your birthday I greet you with a kiss. I baked you some cake, to help your day be happy and fun as could be. 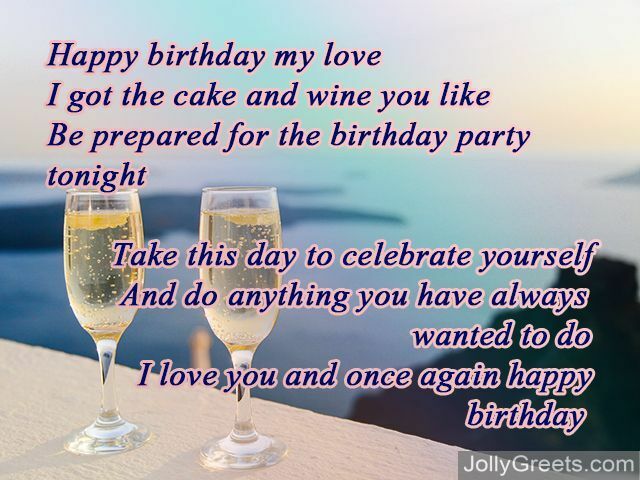 Your birthday is here, oh it’s finally here and I want this day to be fun. To start it all off I want to what you think about this question. The world was changed today, because it met you. I hope you know how special you are and how happy I am that your mine. Please have a great day, know that I love you so very much. You are so special to me, and I appreciate everything that you are, and I can’t wait to grow old with you. Happy birthday my love, my heart. I love you my dear, here’s to you! you celebrate and cry when you cry. and to make every day special. birthdays, I want to care for you. 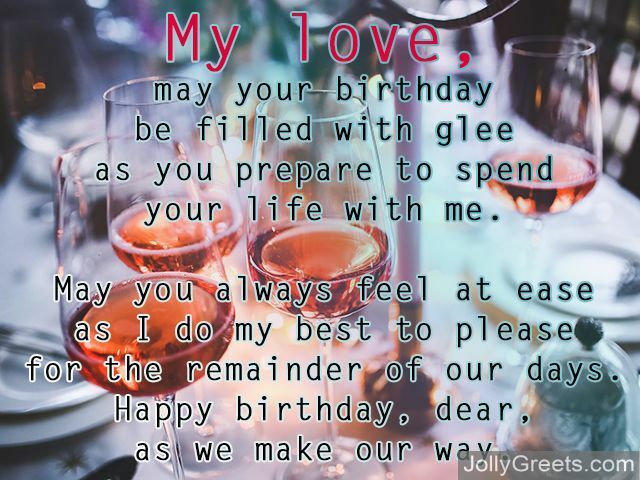 I love you, happy birthday! your eyes are all aglow. You are my most precious gift. You are the summer flower. You are the song that robins sing. You are the evening shower. You are the sweet smell of bread. You are the autumn breeze. and you’ve brought me to my knees! that I someday would meet. and that you would be my girl! ought to be a merry celebration. as birthday tidings are read. let us to bed to celebrate. as you prepare to spend your life with me. for the remainder of our days. Happy birthday, dear, as we make our way.